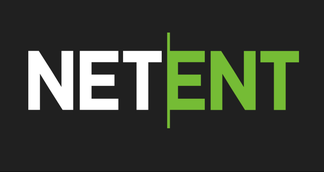 Net Entertainment (NetEnt) is a Sweden-based iGaming software provider established in 1996. In the early years of its operation, NetEnt developed its own software and opened an online casino in 2000. This software has been so successful so that they decided to sell these online casinos in 2005 to focus on the development and improvement of the software. The software is really spectacular platform compared to mediocre ones in the online gaming industry. Additionally, the software is traded on the NASDAQ OMX Stockholm. That's also why they are the most popular supplier of the well-known online casino games in the iGaming industry. It goes without saying that NetEnt online casinos are one of the most searched-casinos on the web. NetEnt is a leading provider of premium gaming solutions to the world’s most successful online casino operators. It has been a true pioneer in driving the market with thrilling games powered by their cutting-edge platform. NetEnt's talented people take pride in delivering flexible digital casino solutions so that their players can be unique, premium, informed and ahead, all at the same time. NetEnt Software is constantly updated by their talented team to entertain online casino players with the exciting gaming experience. The software hosts more than 70 online casinos. Furthermore, NetEnt Software has an online module help. For all your problems and all your questions regarding anything, you can contact the online service 24/7. Net Entertainment has a license granted by the authority regulating lotteries and games of Malta. This organization checks all games developed by NetEnt before they are officially released. In addition, the NetEnt software is certified by two independent companies based in Canada and Sweden, ensuring equitable distribution of gains to the players. Before granting a license of its software to a third party operator, Net Ent ensures that he is able to provide optimal customer service to its customers.